In 1968 audiences around the world were transported to a world eerily similar to their own, but where apes ruled and mankind was subjugated. A terrifying, thrilling film, featuring one of the most famous twist endings in film history, Planet of the Apes is a science fiction masterpiece. The film birthed one of the longest running and most successful film franchises in cinema history, spawning seven further films, two television series, comics, novels and much more. Over 40 years later moviegoers around the world are still enthralled by this iconic, award-winning series. 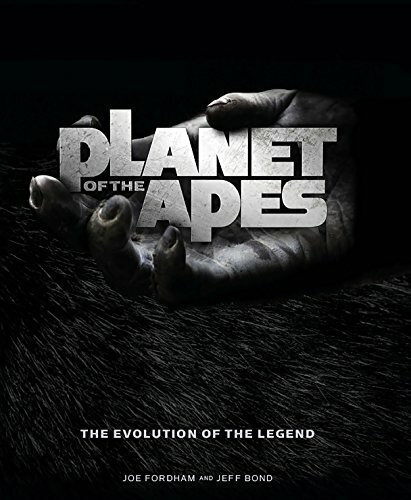 Planet of the Apes: The Evolution of the Legend is the definitive guide to every aspect of this cultural phenomenon. From the groundbreaking original to 2014's blockbuster Dawn of the Planet of the Apes, this book tells the whole story, accompanied by brand new interviews with key creatives and die-hard fans. The book is illustrated throughout by gorgeous behind the scenes photography, makeup tests, candid stills, and beautiful film frames. Highly rare conceptual artwork has been unearthed and promises fans an exclusive glimpse into the creation of this beloved series. Detailing the writing and production process of all the films, the impact and influence, the makeup, the music, and much more. Planet of the Apes: The Evolution of the Legend is a landmark book and must-have for fans everywhere. TM & (c) 2014 Twentieth Century Fox Film Corporation. All Rights Reserved.